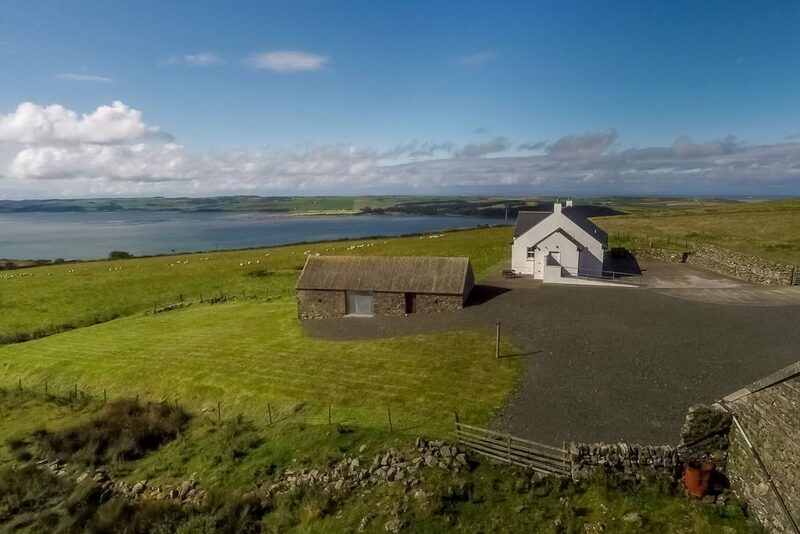 Part of the Loch Ryan Estate, and an old shepherd’s cottage before its rebuild, Little Laight cottage has 3 bedrooms and sleeps 6 offering stunning views of Loch Ryan, the Mull of Kintyre, and Ireland. Little Laight offers the perfect getaway for those wishing solitude, tranquillity peace and quiet. 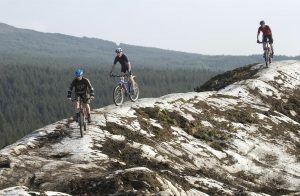 The cottage is also only a short drive from two of the world famous 7 Stanes Mountain Bike Trails at Glentrool and Kirroughtree, both of which also provide access to Galloway Forest Park and the regions two highest peaks; Merrick (2,766 ft) and Cairnsmore of Fleet (2,333 ft). Much of Scotland can be very cold during the winter months but here at Little Laight we are in the gulf stream so frost and snow are a rarity. Many of us have New Year resolutions that we will take more exercise and live healthier lives. In my case that never lasts long but why not come and enjoy Little Laight and the surrounding countryside and all it has to offer. Often described as “Cornwall without the Crowds”, close to Little Laight you will find mile upon mile of stunning coastline and many beaches that are well worth a visit. “‘Wow” on the approach to the cottage we could not believe our luck. What a beautiful setting, and the inside of the cottage was just perfect in every way, it has all you need and more"
“First time we have stayed here and we already want to come back, its one of the best we have stayed in"
"We have stayed in lovely cottages all over Scotland but the views from this lovely cottage are the best by far. Little Laight is so spacious and cosy, beds very comfortable, everything we needed was here." 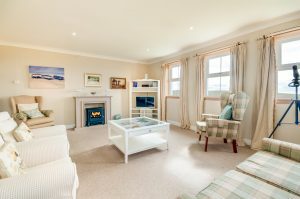 "Used as a base for a golfing week, and really enjoyed our stay. Welcoming cottage to come back to after a hard days golf." 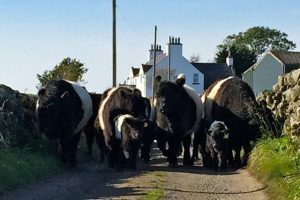 "Our first time in this fabulous cottage but certainly not our last. Amazing views and luxury comforts 11/10." "We were looking for quietness, we were looking for peace, we were looking for solitude and we found it at Little Laight."